I was rather late to the Seville party this year but I’ve added dulse and laver to two batches of my 2015 marmalade. Last year I infused sugar kelp with the simmering oranges. Its effect was subtle. 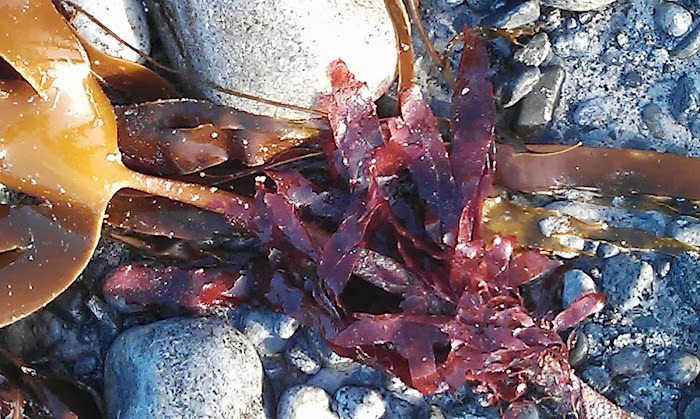 This year, my choice of species of seaweed adds more of a kick but neither bullies the sharpness of the Seville oranges. 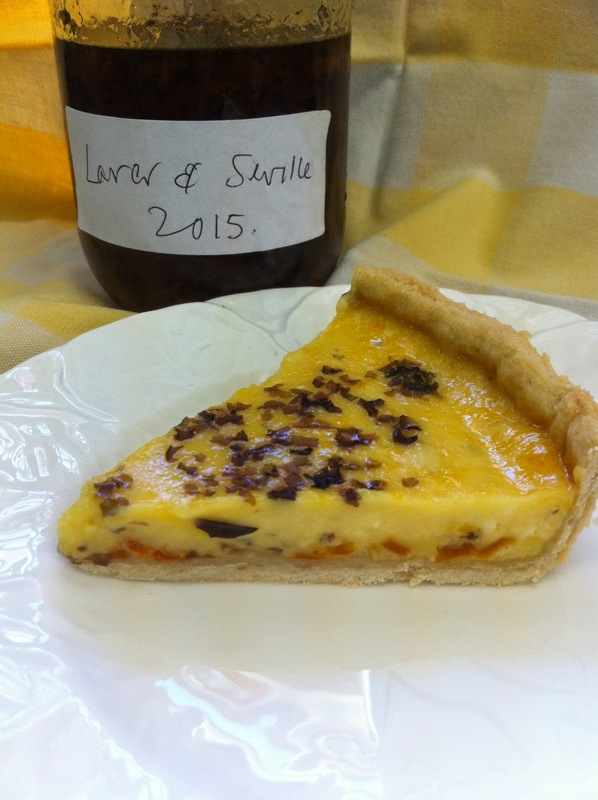 I was encouraged in my experimentation by a new countryside category in the Dalemain Marmalade Awards. Entries for the Dalemain Marmalade Festival need to be in by February 15th. This year I’ve made my marmalade on the mainland, on an Aga without the aid of the fierce, controlled gas flame of my Island kitchen cooker. The first rolling boil of the marmalade season can be a hit and miss affair and this year was no exception. The set was less than perfect. It’s a wee bit like making pancakes. On Shrove Tuesday, the first pancake is often shabby and surreptitiously eaten by the cook. Along the lines of waste not want not, I threw two tablespoons of a rather runny, Laver and Seville Orange Marmalade into custard for a tart. It was delicious. The idea of using seaweed with Seville oranges is not original. Dorothy Hartley in Food in England writes of a laver and Seville orange sauce. Hartley notes that country folk have traditionally added thyme and mint to mountain gigot and laver to the sail grazing mutton. Make the pastry. Sift the flour into a bowl and rub in the fats until it resembles breadcrumbs. Add the egg yolk and then enough iced water to bind the pastry. Wrap in cling film and refrigerate for 20 minutes. In a bowl, lightly beat the eggs. Add the marmalade, cream and laver and beat briefly. Put the flan dish on a baking tray and in to the oven. Pour the marmalade cream into the prepared pastry case. (This avoids overflow spillage en route to the oven) Bake for about 40 minutes or until the custard is just firm. The custard will continue to set after it is out of the oven.